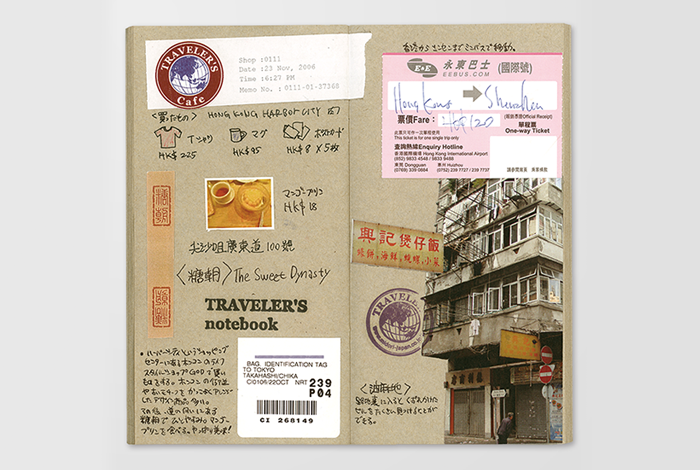 This is a rough notebook that it suitable to use as a scrap book. The rough texture of the kraft paper makes it nice to paste articles, tickets, and photos. Also, the feeling you get from using pencils and ball-point pens to write is great. However, it is worth mentioning that this paper works well with fountain pens as well. 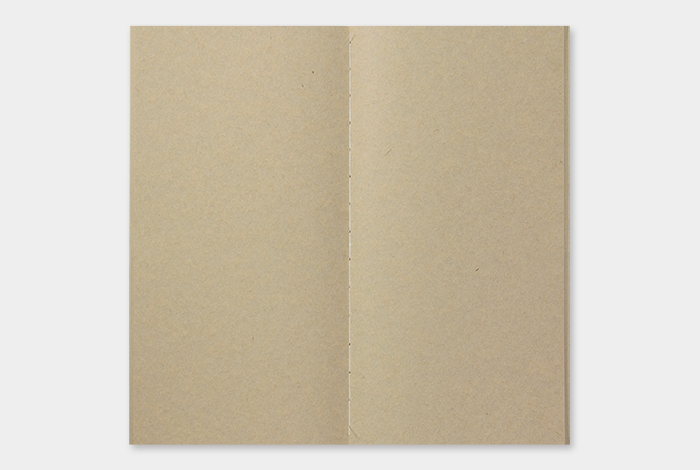 *Starting from March 2016, the specification for the Refill Kraft Paper (014) has changed. 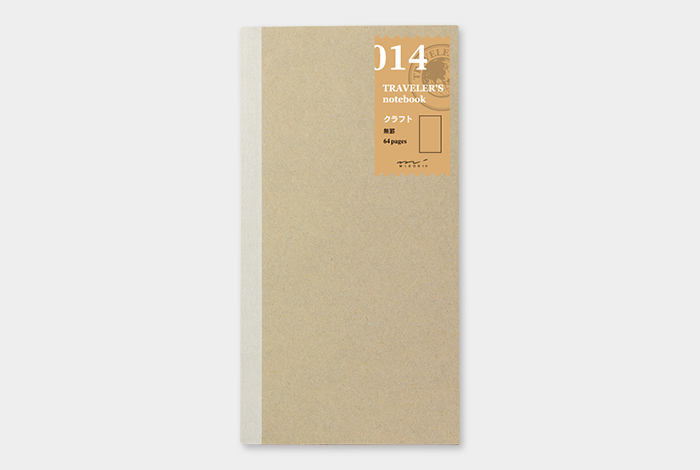 The paper changed to Designphil’s original kraft paper, and the binding method changed from saddle stitching to stitch bound.